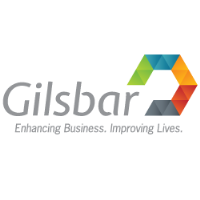 NEW ORLEANS - The Louisiana chapter of the national Entrepreneurs’ Organization is honored to welcome Gilsbar, one of the nation’s fastest growing health and benefits management organizations, as its newest Strategic Alliance Partner. The company joins other long-standing EO partners Baker Donelson, Hancock Whitney and Wegmann Dazet & Company. Details were share in a press release. For more than 50 years, the professionals at Gilsbar have prioritized innovation and exceptional service to provide its clients with a trustworthy, dedicated and professional experience. Mike Krass, Strategic Alliance Partner Chair, said that such values are instrumental to EO Louisiana and make the partnership a natural fit. Since 1987, EO has united business owners at every stage of their careers to encourage peer-to-peer growth, problem solving and mutual support. EO members gather at monthly forums and annual conferences to learn from industry leaders and to stay up to date on best practices for business management and market trends. Established in 1959, Gilsbar, LLC® is one of the largest privately-held insurance services organizations in the country.